Michiel Vos started Zupr in 2014, and hired Han Jongstra as software architect. Together they have quite an impressive track record when it comes to being entrepreneurs. Han was CTO and co-founder of Paylogic. Michiel co-founded NWC Media, a web development company, with Benjamin Derksen (Experty/Frank) while studying at the RuG. After selling his share in the company, Michiel founded a successful ecommerce platform selling made-to-measure blinds, Jaloezieen.nl, winning FD Gazellen awards 4 years in a row (2015-2018). Michiel has been using the proceeds to privately finance Zupr without having to resort to external investment. So why the Startup in Residence program? “The infrastructure behind Zupr is not really easy to explain, simply because you can’t really compare it to anything that exists in the market today. It really helps if you can just show that it works and have users experience the benefits. So the pilot we’re doing in Groningen is an ideal test showcase for us. The Startup in Residence program connected us to the Groningen City Club and together we’ve decided to focus on footwear first adding more product categories later. 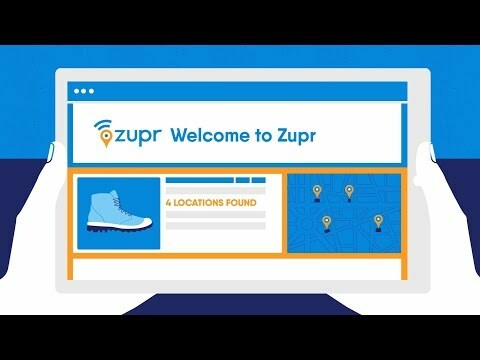 We’re currently onboarding local shoe stores and an increasing number of shoe brands are willing to work with us and test Zupr, which is really awesome!